High school softball player fights for her biggest home run yet. Making the varsity team as a freshman is every high school athletes dream, and fourteen-year-old Brenna was no different. Her passion for softball was evident and she was ready to take her place as the team’s designated hitter. But Brenna’s softball season came to an abrupt halt when repeat headaches led to the discovery of a brain tumor and diagnosis of Acute Myeloid Leukemia (AML). 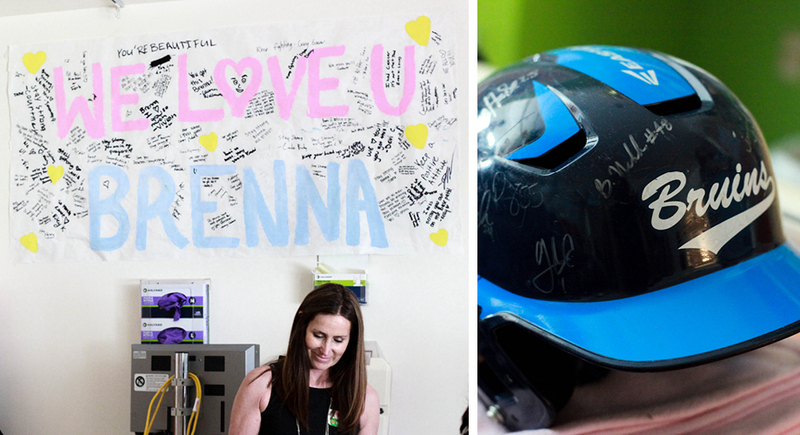 With best wishes and encouragement from her teammates, Brenna underwent brain surgery on May 2, 2017, where surgeons removed a 6 millimeter-sized tumor. This was just the beginning of her journey to healing. 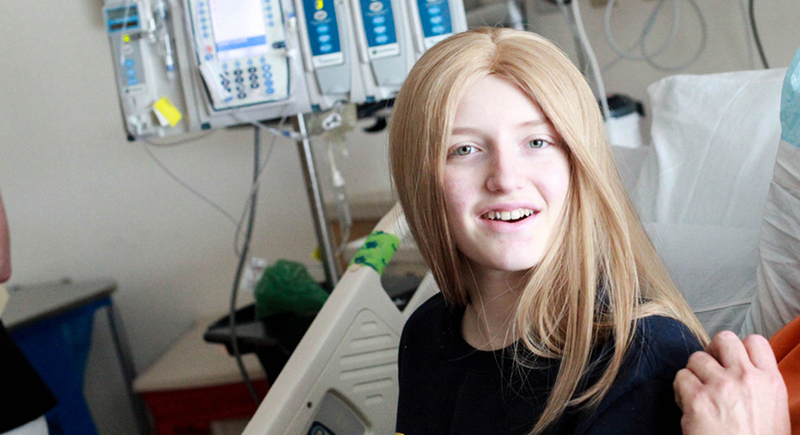 Brenna now faces a six-month hospital stay filled with chemotherapy treatments. 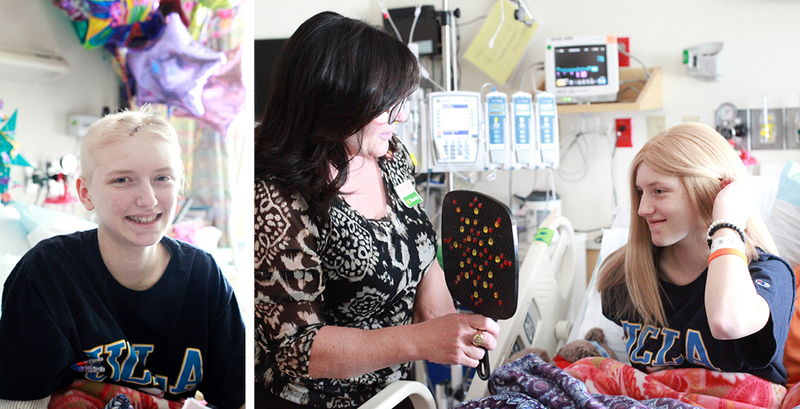 It was only a few weeks post-surgery when the Angel Hair Foundation team made their way to Doernbecher Children’s Hospital to delivery Brenna’s Angel Hair system. Brenna’s hospital room is filled with colorful “get well” and “we love you” messages from teammates, family and friends. Fully aware of the battle in front of her and the months that will be spent in her hospital room, one can’t help but see her courage shine through. She’s taking the field and fighting for a full recovery. And, already looking ahead at next softball season.